When my first son was two he was obsessed with Disney’s Cars. The movie was on repeat daily, we had all the merchandise and we couldn’t walk down the street without spotting a (vaguely look alike) Lightning McQueen. I knew all the words to the songs and developed a (short-lived) soft spot for Mater – jokes aren’t funny after the 240th time. Naturally, he outgrew this obsession. But there were many more that followed. We had The Gruffalo, Batman and Lego. We had to read the same books over and over and over again. And, as he became more independent, he became fixated with putting on his own socks and shoes. Some mornings it took us half an hour just to leave the house. With my second son – who’s currently two – it’s deja vu. He’s currently obsessed with Peppa Pig, only wearing pyjamas that have pockets (not easy to find btw) and pulling the plug in and out of the bath about 50 billion times a night. Breathe, mum, breathe. Speaking to other friends, I know this is a common experience. When I asked some of them for specific examples, the responses came in thick and fast. All were very amusing but there were some standouts. Another friend told me that one of her sons insisted on wearing his satin boxer shorts over his trousers everywhere he went, while her other one fell in love with the Spotlight catalogue – an affair that lasted months. So why is it that toddlers become so obsessed with certain things? And what role does this play in their development? Rachel Hard is a child psychologist. She says that this behaviour is very common and a normal part of development. 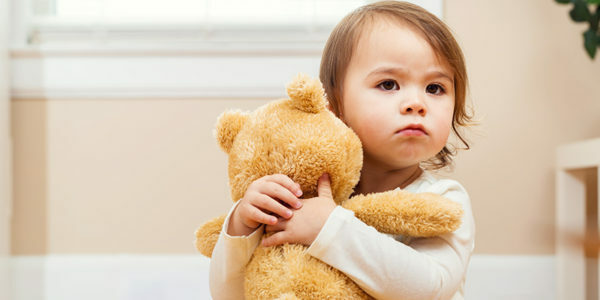 “Much of the challenging behaviour we see in toddlers (tantrums, refusal etc) is because they’re struggling with feeling out of control and these obsessions are a way that helps them manage that,” she says. Hard notes that these ‘obsessions’ start as early as 12-18 months and can last right up until children reach school. Around the age of two, Hard says that toddlers start becoming more social and really pay attention to what others are doing and start mimicking it. Hard notes that this development phase tends to end when children enter primary school. By then, they’ve been exposed to many objects, events and scenarios and so less time is needed for learning about new things.